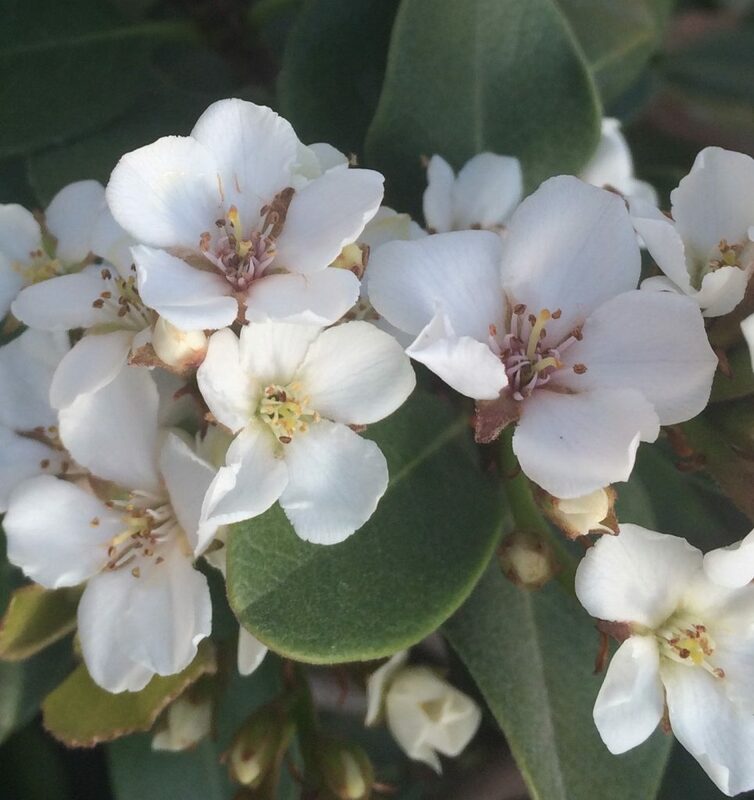 Yeddo Hawthorne long grown in the PNW and an excellent low, evergreen, very drought tolerant shrub. In spring spikes are lined with multiple clear white fragrant flowers. The flowers are easy to identify in the rose family. Moderate to slow and dense growing shrub to 4′ tall by 4′ wide in 6 years. The rounded thick leaves are resistant to black spot which can afflict this genus- it also appreciates an open exposure with good air circulation. Small blue berries follow the flowers- kind of showy. Takes intensely hot locations with no summer water and thrives. Also, it accepts regular irrigation no problem. Average to rich, well drained soil. Not deer resistant at all- Rose family- deer lunch. Excellent performance in harsh urban conditions. Japan.